Carnival Launches a new shore excursion best price guarantee where guests will get the best price and value for money when booking their tours. The new program is now on all ships across the Carnival fleet which are in North America. Shore tour bookings made before the cruise or during the cruise are included. So how does it work? Well if a person finds a tour they booked at a lower price by another tour operator they must fill out a claim form. After the claim form has been completed online or on the cruise ship it will take up to 48 hours to process. Filling out the claim form could get guests 110 percent back as a shipboard credit. This will benefit the passenger and the cruise line so everyone’s a winner! When using the online claim form it must be done up to seven days before the cruise and people can compare prices with other operator sites. 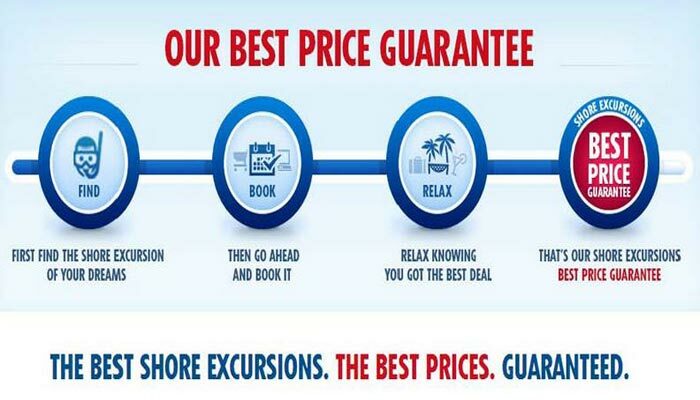 Will this new “Shore Excursion Guarantee” make you do more tour bookings with Carnival or not? Let us know in the comments below.